You can get it as a wonderful gift for your children or you can decorate on your wrist,ankle,arm etc for yourself. North America and EU is our main market , always supply the safe, high quality products with high quality service is our purpose. Design capability &ndash; we are able to make product design and package design based on customer's request. We are able to make the Reflective Slap Wristband any size you require and can PMS the colour to meet your need. Before we ship the products ,we will take photos of finished product to you to confirm . Inside structure: 4 layers eco-friendly material makes our reflective snap armband and quality excellent ! wide bands Feature Colorful: a variety of colors to choose, you can customize the shape. Function : decorate , good impression Characteristic: soft ,fashion and light. Our advantage: 1. More than 9 years professional experience. is one of the biggest companies in Yiwu City, the distribution center of household articles. It is so popular for its generous appearance,various colors and styles, also self-personality. You can get it as a wonderful gift for your children or you can decorate on your wrist,ankle,arm etc for yourself. Packaging & Shipping 1, Sample 1) Make samples usually 3-5 days; 2) The sample charge will be returned according to the quantity when order placed. 2, Delivery time 1) 3-4 days for making samples; 2) 15-20 days for bulk order (according to quantity) 3, Packing 1pc/opp bag, 500pcs/ctn, g.w. 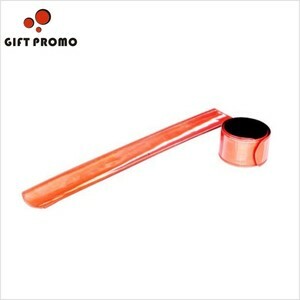 We have more than 13 years expierence in exporting promotional gifts and premiums, have rich experiences and great capabilities in design, manufacturing and supply chain. silicone magnetic hairpin bracelet ,magnetic bracelet for hairpin 1. Magnetic bobby pin silicon wristband 2. Slap on band design , suit for adult and kids size: 230*28mm 3. 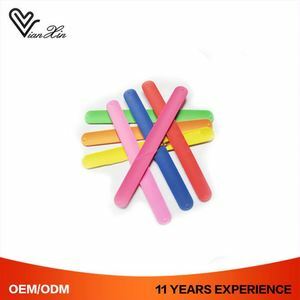 Material : silicone snap on band , with magnet 4. package : opp bag package or PVC box package 5. Logo : logo printing , 4 color printing available 6. Custom design welcome 7. Sample: existing sample 2 days custom logo printing sample 3-5 days 8. Usage : Magnet band for bobby pin . After-sales service : We always offer fast and high quality after-sales service ! Important Notes : Each special designed bracelet has its unique price. So, pls kindly send us your detailed requests (such as size, color, logo, etc. 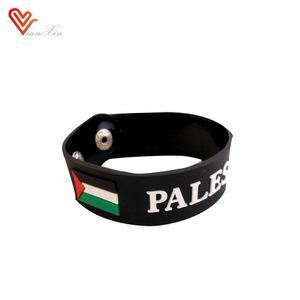 Alibaba.com offers 1,790 slap on bracelet products. About 53% of these are bracelets & bangles, 8% are other gifts & crafts, and 8% are plastic jewelry. A wide variety of slap on bracelet options are available to you, such as anniversary, gift, and engagement. You can also choose from children's, unisex, and men's. As well as from silicone, plastic, and lampwork,glass. And whether slap on bracelet is bracelets, bangles, or jewelry sets. There are 1,790 slap on bracelet suppliers, mainly located in Asia. The top supplying country is China (Mainland), which supply 100% of slap on bracelet respectively. 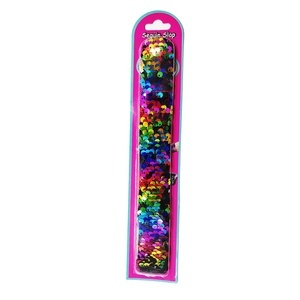 Slap on bracelet products are most popular in North America, Western Europe, and South America. You can ensure product safety by selecting from certified suppliers, including 244 with Other, 181 with ISO9001, and 43 with ISO14001 certification.